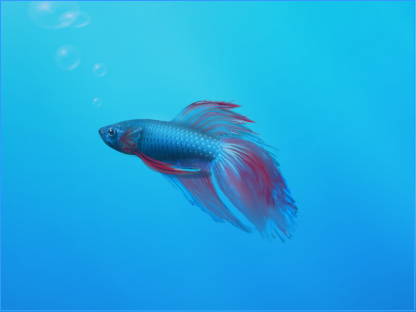 It is the Siamese fighting fish, a beautiful tropical fish, but with an interesting characteristic: it is extremely aggressive. It is popular belief that two males fight themselves even in the wild, but that’s not quite true. This belief descends from the behaviour of the fish into an aquarium, where the victor continuously attacking the loser, eventually causing the loser’s death. Now, think about the software ecosystem as an aquarium. And think about microsoft into this aquarium. The latest release of Microsoft OS has an aggressive fish as its default skin, and it is alone in this aquarium. And there’s no place for anyone else: they’ll fight whoever adversary, even if it’s from the same species. What’s uncertain is .. they’ll succeed, or not? :). We’ll see!